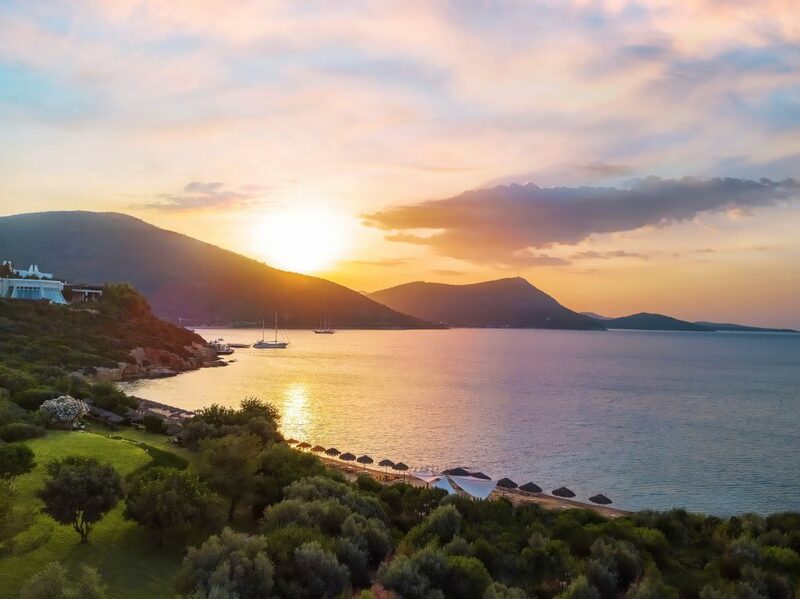 If there is one thing the Kempinski brand does best, it exudes world-class luxury and grandeur in any destination they have a presence, and Bodrum is no exception. On top of that, the Yalıçiftlik area is a picture postcard place you must visit in your lifetime, and the Gokova Bay is definitely one of the most astonishing places to enjoy clear, turquoise water in the Aegean. 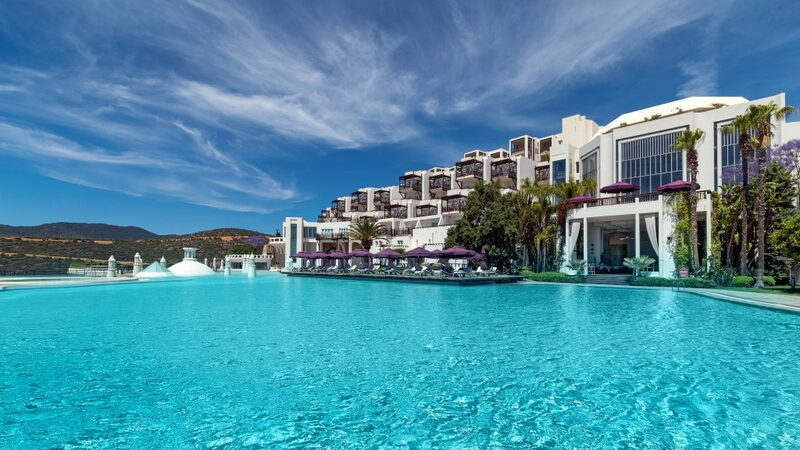 If you’re not familiar with Kempinski Hotel Barbaros Bay Bodrum, let me tempt you! What’s so special about this beachfront hotel? 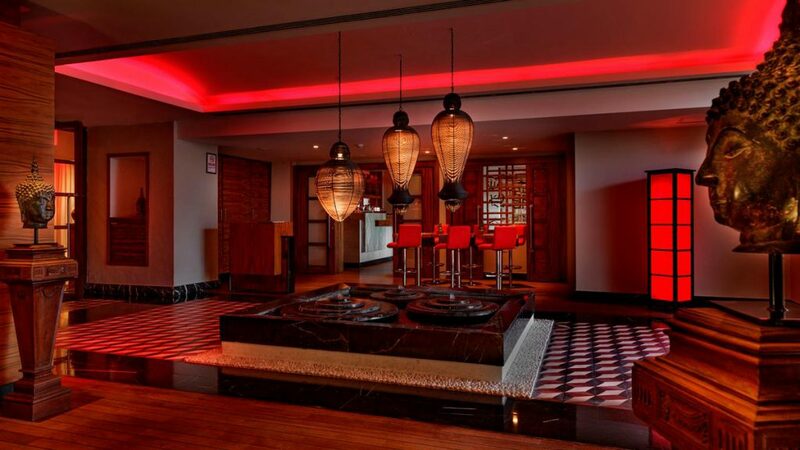 Well the 5-star hotel awakens the senses. 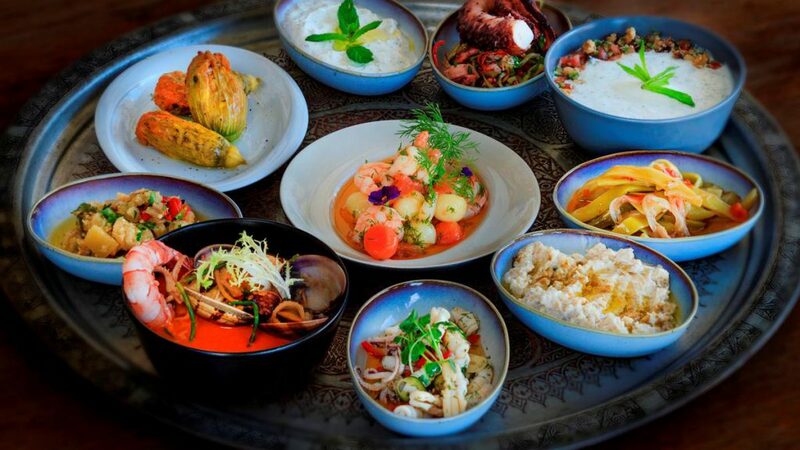 It’s a place where sight, sound, smell, taste and touch is served in exotic abundance to transport you to another world. If you’re in the mood for exotic design, sophistication and laid back atmosphere, this stunning hotel is the perfect place for you! 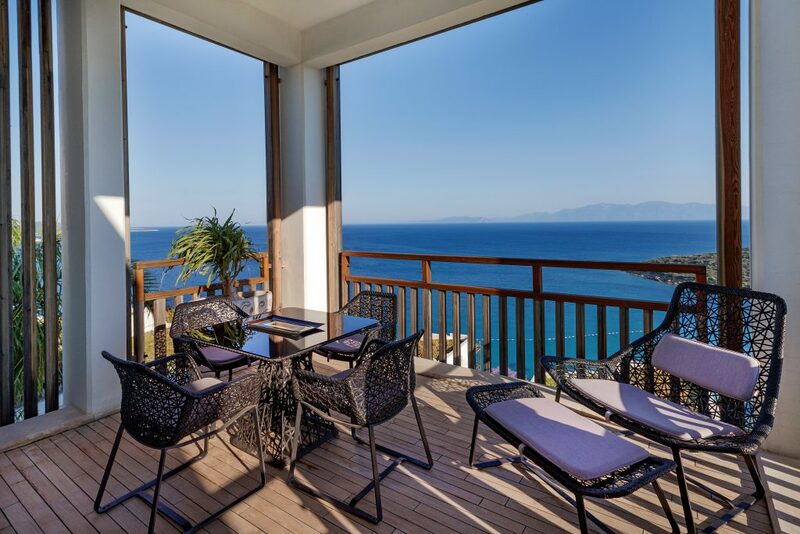 Scroll down to read more about this Aegean gem featuring a blue-flagged private beach. So lets talk about the interiors. Kempinski Barbaros Bay offers rooms in 8 categories – Standard, Superior, Deluxe, Grand Deluxe, Junior Suite, One Bedroom Suite, Presidential Suite, and Residences. 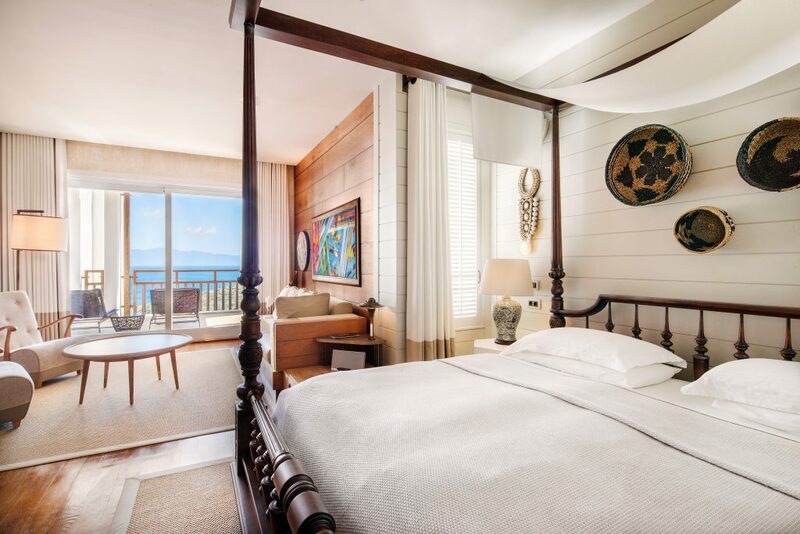 All accommodations promote a sense of calm and relaxation. From the comfy beds, sweeping views over the sea, outstanding level of service and attention to detail, and of course, the huge and elegant bathrooms, there’s nothing more you could ask for. 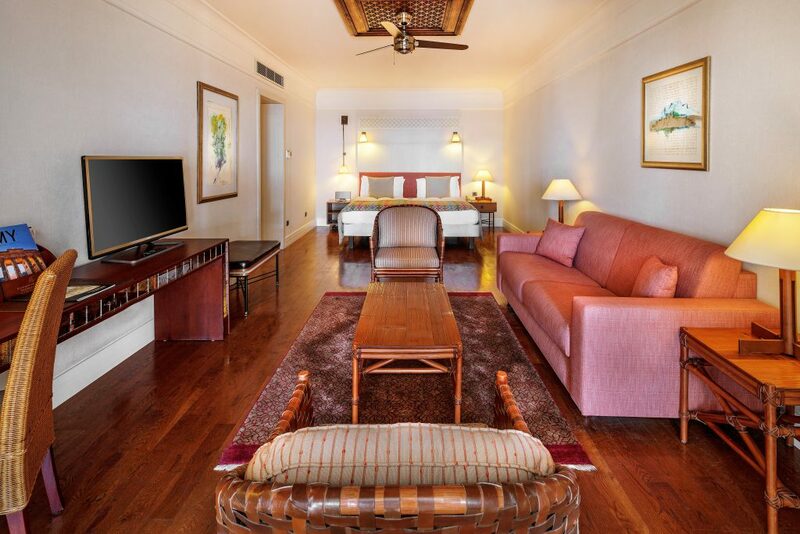 For spectacular sea views, opt for one of the Presidental Suites! These feature a private entrance, a grand living room with a large dining table, a fully equipped kitchen, two dressing rooms, a spacious master bedroom and a bathroom with jacuzzi. Whether you want to take laps in the pool, people-watch while sipping on icy drinks, or just take a nap in the sun, the infinity pool has your needs covered. 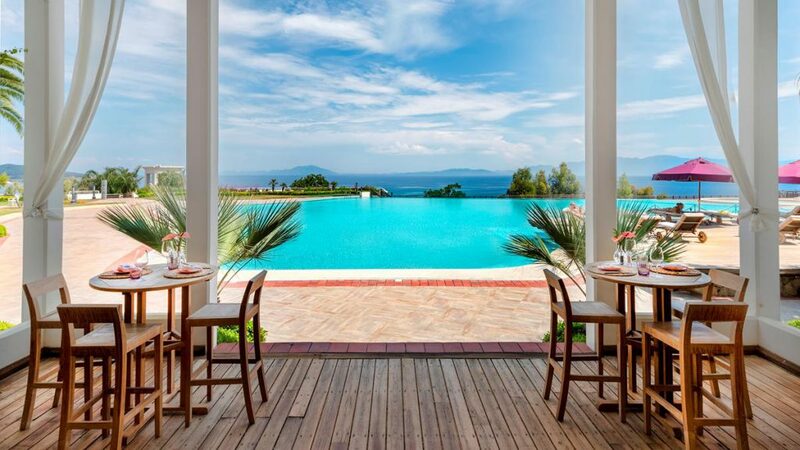 In addition, this expansive pool is immaculately clean and never feels too busy. With comfortable sun loungers, and a wonderfully relaxed vibe, the beach is THE place to unwind. Best part? For the ultimate comfort, Kempinski has designated two separate areas – the Family Beach and the Adults-Only Silent Beach. Eating and drinking well come easily here with five distinct options. 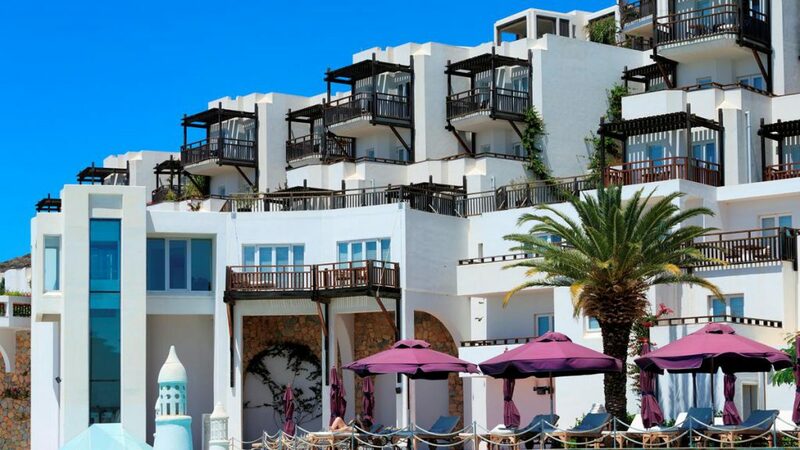 You can enjoy sun-drenched lunches by the pool as well as gourmet lunches at Barbarossa Restaurant, and have cocktails on the beach or in the garden – everything is possible. But there is one thing that is mandatory: try the Grandma’s Lemon Meringue Tart at the Pool Restaurant & Bar – a seasonal à la carte restaurant serving Aegean and international light meals, fresh frozen cocktails and mocktails by the infinity pool. And there’s the Sundeck Lounge & Terrace serving light snacks that transforms with sunset into a sophisticated à la carte fish restaurant. 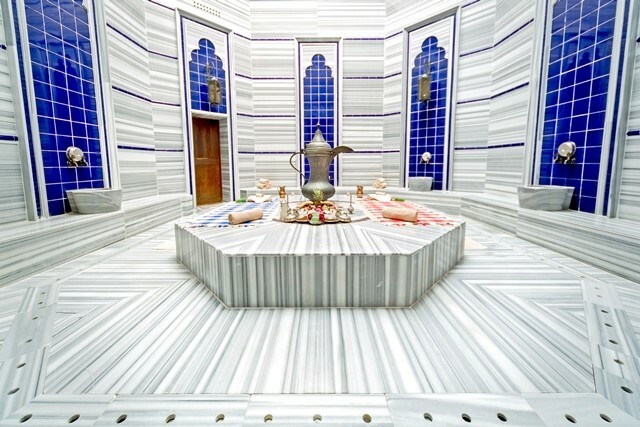 If you relish the chance to dress up for dinner then you’ll be in your element at the hotel’s Turkish restaurant Olives. Don’t miss the chance to dine at Saigon which serves exotic Pan-Asian cuisine and takes you a gastronomic journey across Asia. Last but not least, head to the chic Bar Blue for after-dinner cocktails before venturing out to explore the city’s lively clubs. After all, who doesn’t love refined barrel aged cocktails and Turkish tea delights? POP THE QUESTION: Already have the sweetheart and the ring? When it comes to combining romance with a fabulous wedding experience, Kempinski Bodrum is the perfect place to bend the knee and pop the question. The dedicated staff will plan the wedding of your dreams – a romantic ceremony on the beach, walking down the aisle on the marina deck, or a jet-set party by the pool – it’s up to you how you plan spending this magical day! 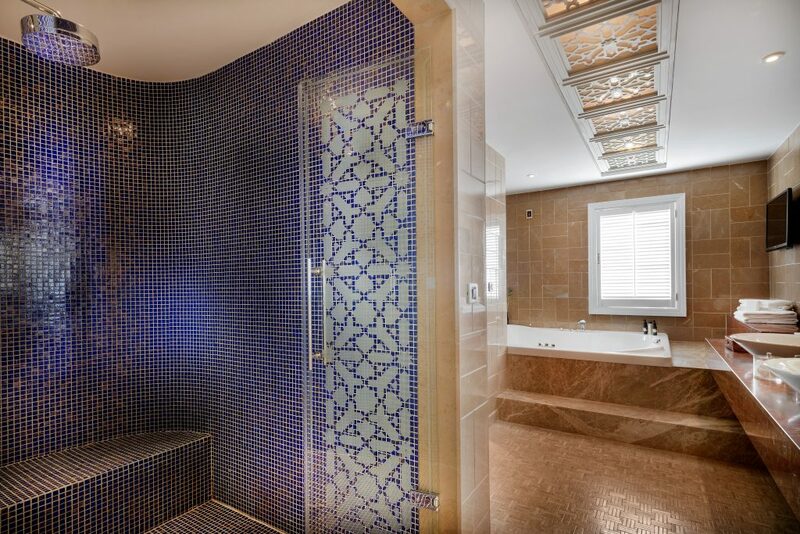 All the common areas are airy and light-filled, while the Barbaros Bay Spa by SANITAS goes beyond the standard massage and facial offerings with two unique hammams, a sauna, a steam room and a fully equipped fitness centre. INSIDER TIP: be sure to book the Golden Massage! There’s no secret that Gold therapy is one of the most effective and natural anti-aging methods. Consisting of a unique combination of sweet almond oil, palm oil and 24 carat gold particles, this massage protects the skin from free radicals and gives an amazing sparkle and youth. It removes negative energy and regulates the flow of energy by opening up blocked energy points in the body, and by stabilizing the cell renewal and cell functions. If you’re a major spa go-er, you’ll find that a few hours of total relaxation – try the Pasha or Sherazad Treatment – can totally transform your mood and state-of-mind for weeks. 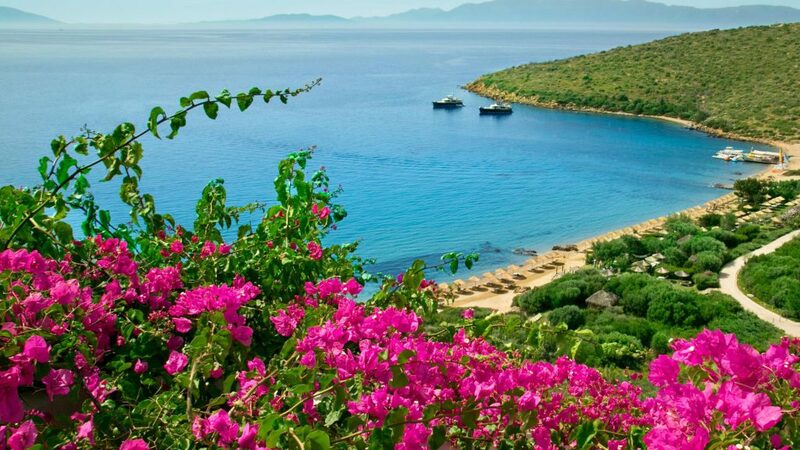 Not only is Bodrum incredibly romantic, but it’s also a great escape for families and adrenaline fans alike. 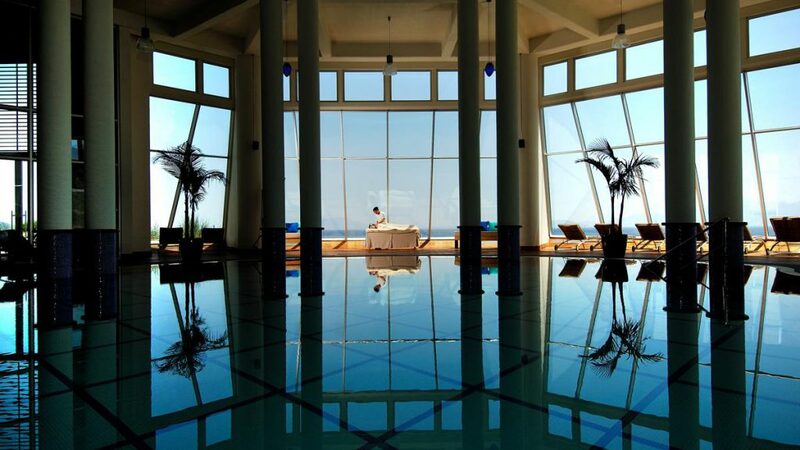 From scuba diving, jet skiing, surfing, mountain biking and even yachting, Kempinski Hotel Barbaros Bay has a little bit for everyone. 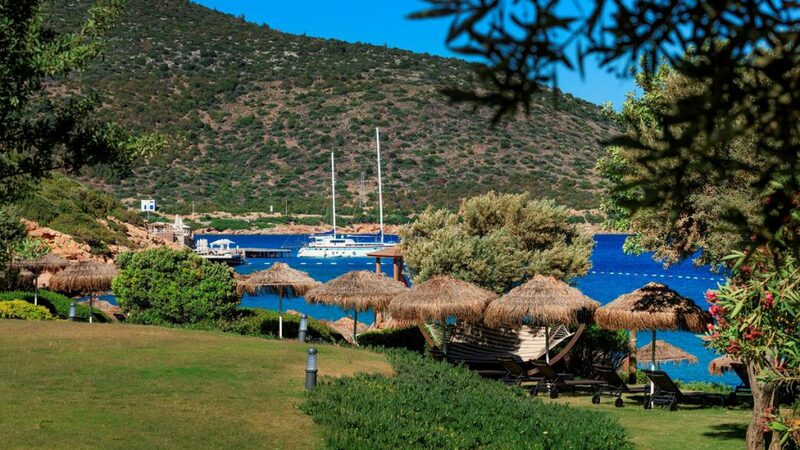 Besides, Bodrum is the hotspot for celebrity spotting as there are several who are spending their vacation on their private yachts here. So keep in mind – hit the beach in style with a chic swimsuit and cool accessories! For a truly unique vacation filled with discovery, take a ferry – Bodrum harbour has boats going to Kos and Rhodes, both of which you can visit for a day in the summer. 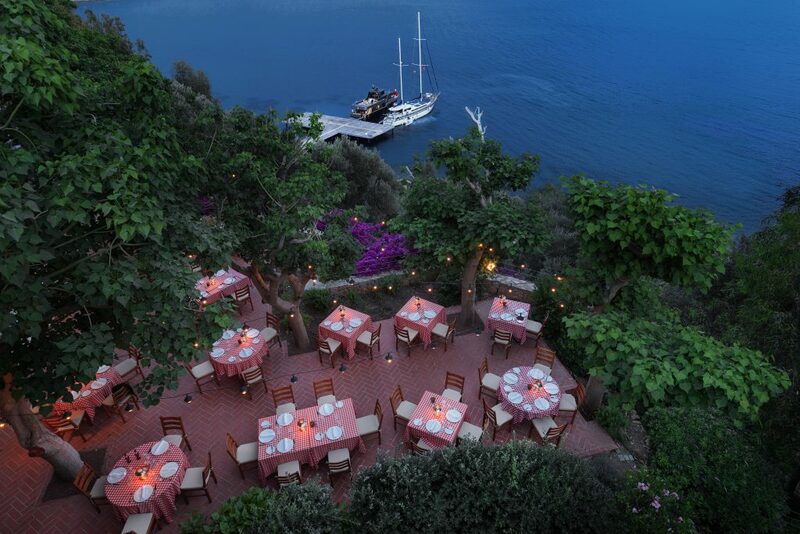 To sum it up, if you are looking for the ultimate Bodrum experience, this is definitely the place to be! 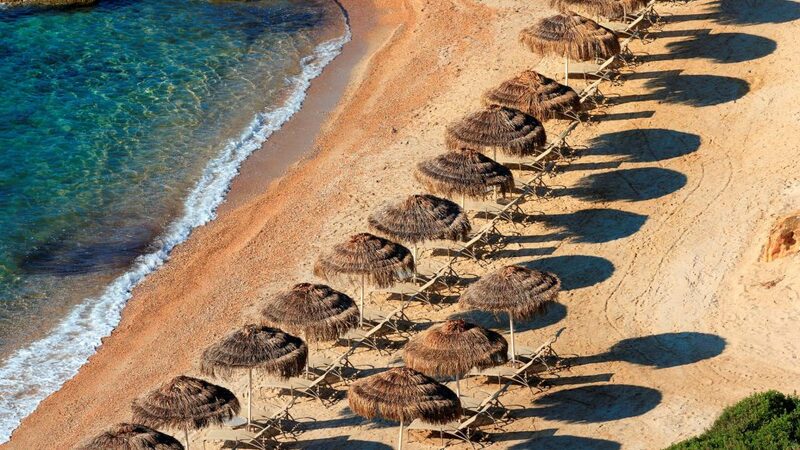 For hotel reservations please click here or call +90 252 311 0303. 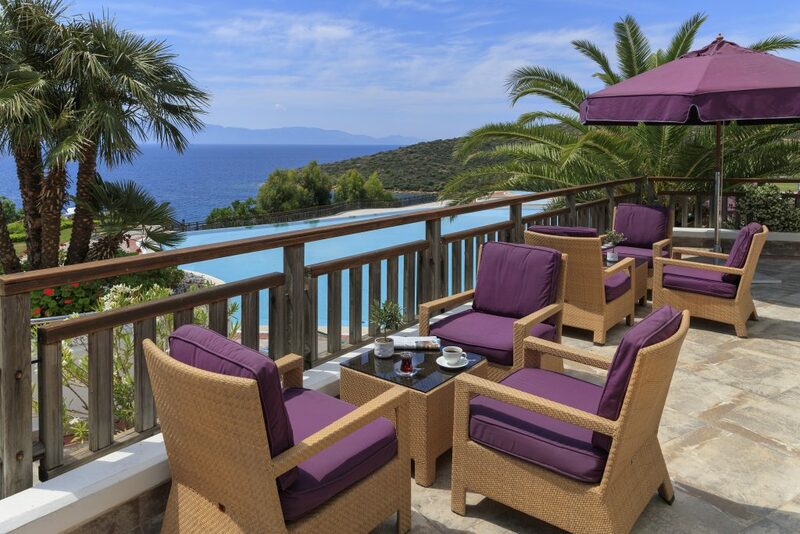 This post has been created in collaboration with Kempinski Hotel Barbaros Bay Bodrum. 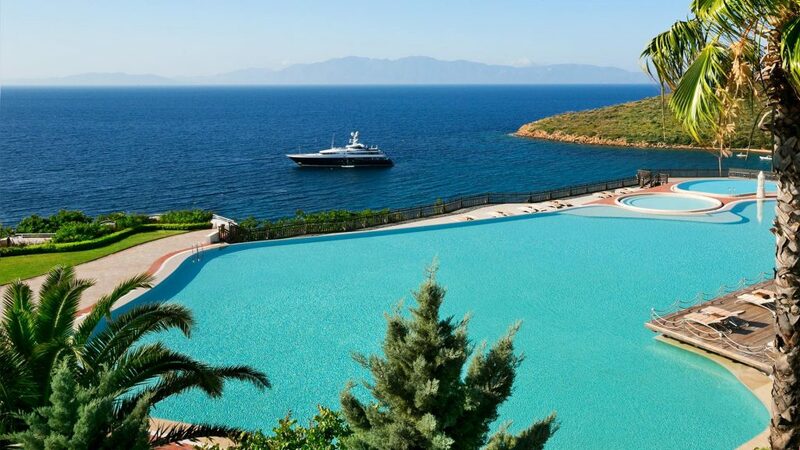 Header photo courtesy of Kempinski Bodrum. Opinions are, as always, my own.